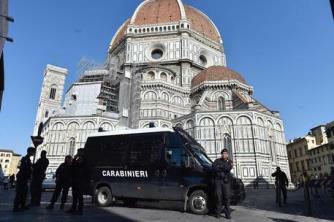 Police have arrested a 50-year-old man in connection with an incident that happened Thursday, August 17, near Florence’s Duomo, Italy in which a Nigerian man complained of being attacked with pepper spray during a fight. The alleged attacker, a Florentine man claims that the Nigerian man was bothering female tourists with persistent questions, possibly asking for money. The Florentine said that he had asked the Nigerian to stop and was verbally attacked in response, and thus used the pepper spray to protect himself. The pepper spray is not among those available legally in Italy. Police have reported the man for aggravated bodily harm and for carrying objects to be used as weapons, since he was carrying a small knife as well as the pepper spray. ← Student Who Killed 8-Year Old For Ritual Purposes Escapes From Police Custody !